NEW PAINT and FLOORING!!! 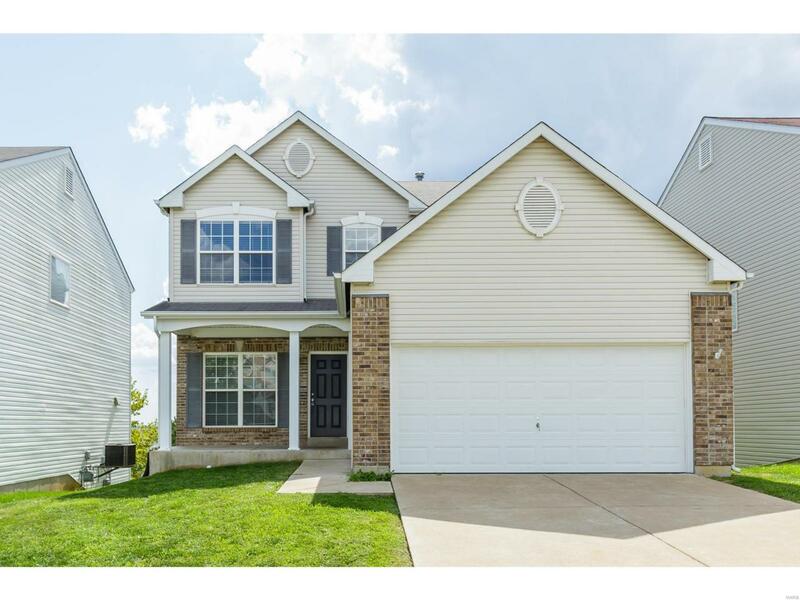 Four BDR, 3.5 BATH home in a great location in the sought after Francis Howell North district!! Fresh, neutral paint in upstairs and main floor areas. There is new carpet throughout most of the home and new luxury vinyl plank flooring in the kitchen and breakfast rooms. Deck with stairs right off the breakfast area. The living area has a gas fireplace and is so open and bright with the many windows on the back wall. The master bedroom suite has a master bath with a dual sink vanity, separate soaking tub and shower, plus a large walk in closet. The finished basement has room for both a rec area and a family room, and has a walk out slider leading to a patio under the deck. There is a full bathroom in the basement as well! Covered front porch with vinyl soffits, fascia, and posts makes maintenance easy! Home is very near the Katy Trail, Historic Main Street, and Streets of St. Charles, with easy access to both HWY 70 and HWY 364. Cross Street Address Friedens Rd.